You probably know the best Bose Quiet Comfort 35II, the ANC over the ear Bluetooth headphones with very expensive price tag roughtly $300 and a lot of handy features (voice assistant), but in fact not many people want to carry this heavy, sturdy stuff on their heads, so a pair of earbuds (in ear heaphones/earphones) is an alternative for more convenience and portability. Among plenty of them on the market, what turns out to be the best noise cancelling earbuds, we’ve rounded up some of them received positive reviews from users, experts as well as our experiences in 2018. Finding a decent pair of noise cancelling earbuds is not a tough job. However, it depends on how much money do you want to invest and where do you use them. Understanding noise-cancelling feature is a bit more complicated since some online sellers mislabel their earbud as Noise-cancelling earbuds, but actually they are passive noise cancelling not Active Noise Cancelling (ANC). I. How noise cancelling works? II. ANC earbuds and ANC over the ear headphones which one is better? Note*: The actual performance is more important than the technical specification of ANC earbuds. Becasue 90% noise subtraction, for example, is measured at the specific noise intensity in dB at a range of frequencies. The ANC process is involved in microphones that are placed inside earbud housing (both on the right and left). These microphones will pick up and send ambient sound signal to ANC circuitry. The ANC circuitry functionally inverts sound waves in the wide range of frequencies and transfer that signals to earbud speakers, which in turn will cancel out the unwanted environmental sounds interfering to the pure music. Generally, in term of sound quality and ANC feature, over the ear heaphones do a better job than earbuds. What folks look for from earbuds probably their light weigh and portability, I could say you know how easy and convenient you can take them on the go. The over the ear headphones, on the other hand, appears bulky and sturdy, you may feel ’em cumbersome on your head. Additional tasks required you may not like when folding up and putting them in the hard carrying case and then taking them back for use. They also gain some space of your bag, not adding weight a kilogram :). Actually, with under $100 you can get a decent pair of ANC over the headphones if it is fine for you to wear the big earcups and headband on you head, or put them rest on your neck. You can choose ANC earbuds based upon the price range as many people limit how much to spend first when investing on something. Choosing the best noise cancelling earbuds is considered by comforts in ear cannal, ANC performance, sound quality, design and additional features. Thus, by seriously considering all concerning factors we round up the best noise cancelling earbuds. Since this article was published in 2015, I never found a better pair of earbuds than Bose QC in terms of NC performance, but considering the price – you pay a hafl price of Bose QC20 you get a good ANC performance and premium sound quality. 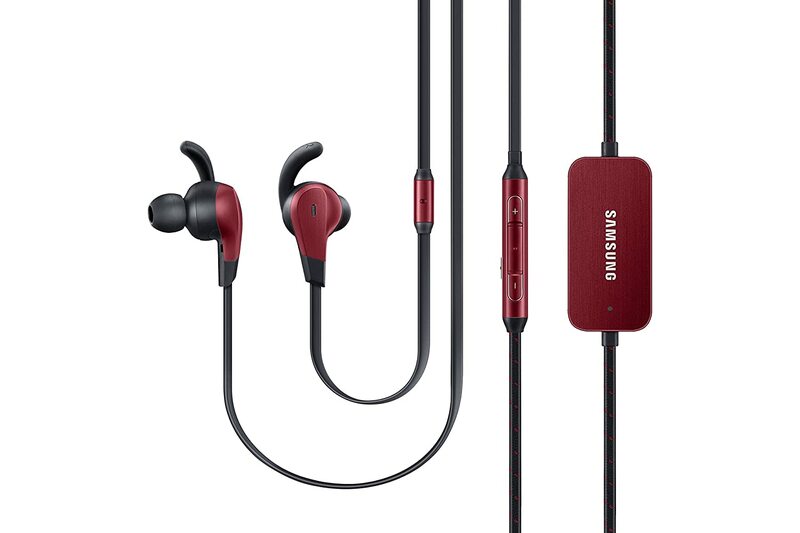 Supported dual-mirophones on each earbuds, the latest Samsung sports NC earbuds work effectively to cancel out the noise. Its performance though is not on par with Bose QC20, but we found it is very close. The earbuds are quite comfortable to wear and the wingtips keep the earbuds stay put. As runners I often hear loud footsteps, the earbuds reduces a fairly amount of these noises so if you run on the treadmill you probably only hear your music other than annoying footstep sound. Samsung Advanced ANC sounded impressive. It is the first pair of NC earbuds that are built with triple-drivers. The sound is clear and detailed, mid-range is pronounced and the bass is powerful, yet I would prefer if the sound is richer and more dynamic. This QuietPoint Active Noise-Cancelling in ear headphones certainly is for those of you who are struggling to find decent ANC earbuds with budget in mind. Audio-Technica ATH-ANC23 earbuds efficiently reduce noise up to 90%. And when the quietPoint is turned off it works just like other enhanced bass earbuds. The ANC23 offers the decent sound quality at an affordable price. Though the sound details would be improved, the ANC23 tunes excellent sound at low and middle range. Pros: Clear sound and good bass, but in term of sound quality, you definitely find the better earbuds without ANC at a lower price. Cons: No built-in mic for conversation on the phone. The battery compartment is a little bulky since they host AAA, and because of the heavy weight of the box, it’s more likely to tug earbuds out your ear if you let them impend from the cable, not likely you can hang them freely. High microphonics on the cable is noticeable and they seemingly loose the details when music is mixed of various instruments. Audio technica also introduced the upgrade of ANC23, the ATH-ANC33, which features mic and inline control for compatible devices. You may try it out. Sony MDRNC13 Noise-Canceling earbuds, Compared to Audio-Technica ATH-ANC23 based on the specs, these Sony earbuds is better, check out how they were compared? Pros: The battery life (AAA) is up to 100 hours with ANC turning on, 87.4% Noise reduction. It is not usual for ANC earbuds that the sound remains the same no matter what NC is on or off. It pumps a resonable amount of bass, and treble is clear and keeps up with good detail. The Monitor Switch is similar to Aware Mode of Bose QC 20, Imagine if your friends want to talk with you, in order to hear them clearly, you must take off the earbuds, however the Monitor Switch of Sony MDR allows you to talk with your friends but still keep the earbuds stay in the ear, it’s fun a little music background while chatting. You’re back in touch with the real world just by switching the button. Cons: mid-range is not bright, and it doesn’t has balanced sound profile. Bose long stands for the iconic ANC headphones in audio industry. Take the full advantages from predecessor Bose QC 15 over the ear headphones, Bose QC 25 make things much better: Gain less space in your bags with typical folding method, a single cable instead of 2 as the previous model. I’ve just talked abit about the full size ANC headphones of Bose. Ok now what we look at the earbud model Bose QC 20i ( the letter i means they are customized for iPhone), which take you to the silent world with lowest white noise that is waived if you are in a little background noise. If money is not an issue, and you want to try the best of the best I suggest you go for Bose QC 20 whatever you own Android or iOS devices. Till date Bose QC 20 is anchored for the best high-end noise cancelling earbuds ( there are 2 model: Bose QC 20i for Apple Devices and Bose QC 20 for other than Apple products). Though the Bose is every expensive, disappointedly they still are wired earbuds and it would be perfect if it is a bluetooth version. Long battery life 16 hours makes the Bose QC 20 the longest available with integrated battery. According to http://www.faa.gov/ Jet Transports (Cabin) the intensity 60-88dB, typical frequency range on air plane is over 1000Hz. The correlation of loundness and intensity, Bose quiet comfort 20 works very effectively in this range, which brings about a good time on every flight if you own them. The reason why Bose QuiteComfort 20i is bloody expensive, does it offer everything you needed? – Bose earbud tips with secure wing worn the least shallow insertion (intra-aural) in ANC catergory, they are more comfortable than other earbuds with deeper insertion. – Design:the cable is long enough to stuff the battery compartment into your pocket. – ANC performance: The best noise cancelling earbuds will cancel out most ambient sounds, in fact Bose QC20 dont’ reduce 100% percent, but they perform the ANC most effectively. If you are worried that the lithium ion battery is not replaceable, and roughly after 3 years the battery is deteriorated it is going to be passive noise cancelling earbuds with awkward battery box. If you need the ANC automatically shut off and wireless connection. Go wireless, there are just a few models of wireless ANC earbuds. Since the battery have to power 2 functions bluetooth connection and ANC at the same time so it is going to drain faster than wired ANC earbuds, thus the battery life is significantly shorter. Using a neckband could give more room for hardware and larger battery built-in that’s why we’ve seen this style gaining popularity. Sony’s latest headsets are following the trend, the WI-1000X has a strong battery and solid Bluetooth connection. It does sound good with strong bass and pronounced mid-range. The ANC function works impresive but isn’t great, but you can control how much you want to hear the world with a single switch. Sony also makes great over ear cans the MDR-1000X, which have better ANC performance. These two pairs sound great. If you don’t care much about the neckband, which is not really flexible and $300 price tag, the WI-1000X would be a nice pick. Phiaton BT 220 NC Bluetooth 4.0 Active Noise Cancelling, The ANC function works just fine with the battery life up to 16 hours straight. It offers solid sound performance–indeed it makes sense for bass. Its unique design also makes earbud itself have a very good noise-reduction effect by eartips. The PT 220 is one of the best sounding wireless earbuds available, though the ANC function isn’t as effective as Bose QC20. The Sony MDR-NWBT10N earbuds offer a decent sound, though the battery life doesn’t last very long and is varied from 3-6 hours depending on the volume loudness. Furthermore, it is not possible to listen to them while charging, so it seems not for those who frequently travel on over 10 hours flights. However, if you need a light and portable wireless earbuds and tend to use in just several hours everyday, it’s a great option. What to avoid: Any devices produces frequencies, they are going to board the “hissing sound”, white noise…update soon!, NC earbuds with short battery life – you have to frequently charge them up. Some true wireless earbuds are built with NC feature such as WF-1000X. Both can be used as an everyday headphone, but which one you should pick? Noise cancelling performance 9, NC can be adjustable on app Comparable to Bose, but WI-1000X is better at higher frequencies because the eartips sealed the sound in. The Bose QC30 weighs 28.4g, lighter than Sony WI-1000X, the earbuds are unsealed in the ear with particualar Bose Stayhere tips. The design that lets the ambient sound come in. The design that block the ambient sound, no wing tips included. Sound quality Pleasant, detailed sound, full bass response, forward mid-range that is natural and warm. Balance sounding profile, EQ app to fine tune the sound to your preferences. We prefer WI-1000 over Bose for the clarity, deep bass and crisp high. Bose QC30 neckband Bluetooth, NC headphones: Bose QC30 is a great set just for its functionality, in combination price, sound and NC you can have a better choice other than Bose QC30. LINNER NC50: This is a neckband bluetooth headphone, the NC is just passed while we like its design, the battery is not what we are expected, just 6 hours with NC on. Pioneer Rayz Smart Noise Cancellation Earbuds for Iphone users: No heavy battery compartment, it draws power directly from your phones, you can adjust the level of NC according the enviroment. How noise-cancelling earbuds (earphones) were tested rated? We consider the NC performance, comfort, fit, sound quality and price combined to evaluate they are worth it. The noise-cancelling function: normally tested on a long flight more than 10 hours, train, buses, ability to eliminate wind blowing sound while cycling. It is evaluated by how much sound they can virtually reduce. On flight test, there are factors such as comfort, sound quality and jet engine noise reduction capacity, or even whether you can sleep while have them on. You’ll see the technical information that indicate the percentage of noise, earbuds can reduce. For example, 95% noise reduction, however, how they actually work in real life or do they work as advertised? The answers is still a long story since you don’t have a tool to measure this information, even your ear is sensitive enough to noticeably realize the difference from how loud the ambient sound is reduced to lower levels before passing through earbuds. Let the ambient sound frequency range be from 20Hz-20kHz the NC earbuds can actually cut off 90% the loudness in the working range 500-18kHz since the microphones can only capture this range, so you still hear ambient sound with frequencies under 500Hz or above 18kHz which can only reduced by noise-isolation of earbud tips. It is up to you to define what’s the best suited for you. So now, you knew why they are not 100% effective to cancel out all sounds. Design and fit: There is a inline battery compartment. This part processes the ANC function you can turn on or off by sliding or clicking a button on this, it is normally located near the end L-Jack for convenience. Earbuds housing, cable to prevent tangle. How would you like your earbuds look like? slim, tiny size fro better noise-reduction. Other related to the shapes and materials, curved edge, ear cushions or earbud tips. Light weight and size: The advantage of earbuds over the over the ear headphone is size. ANC earbuds is small, you can take them every where and simply put them into your pocket. Where to use: If you tend to use a ANC earbuds in your quiet office, you are wasting money – a huge waste. Most people use on flight or in busy street, and it is common today that you work in the distracted office, where there are a lot of noise coming from phone calls, walking and chatting. The open office also exposes you to hear as much as possible from co-workers, so the ANC earbuds is very useful to make your work more productive. Sound quality (audio performance) That’s being said, with the same money, you can get better sound from earbuds without ANC. However, Read reviews, you will find that sound quality is very difficult to judge one by one. Fit: The earbud tips itself provide a pretty good sound-isolation. In an occasion, my room can’t connect to internet, I went to coffee shop where people come there to sing karaoke, put my earbuds on like earplugs, the sound (most bass) significantly is lowered but I must push earbuds worn tightly. Perfect fitting should not be too tight or loosen easily but still feel comfortable. You can also see the various design of earbud tips from bose with wing, or Sony. If you are struggling with the optimum way to insert earbuds reach out my post: How to wear earbuds properly for better sound. Comfort is primary, and shallow insertion means more comfortable, wearing earbud tightly and listening music at high level can cause stress. For earbud style headphones, since they are small and inserted into ear canals we should consider the secure fit. Plus, secure fit and good fitting give users better music experience and get rid of dropping earbud phenomenon. Some NC earbuds feature sports hooks, wingtips for sports but I personally never use NC earbds for working out, a simple reason I don’t want to break it because of my sweat or movement can sooner or later break the NC module. Battery life: As you can see in smart devices today, the more feature they integrate, the less battery life is and ANC earbuds is not an exception, they need batteries to work and the longest batteries can live up to 40 hours for a single charge (AKG K391 NC), otherwise the replaceable AAA can live up to 100 hours. The charging time is varied, normally within 2 hours. Unluckily, the battery drains so fast, and the battery is “low” at the middle of your flight to Alaska, you will spend the rest of remaining time with sound mixed from jet engine. In some ANC earbud such as Bose QC 15 or 20, the battery is not replaceable, in this case what happens if you they run out of charging capacity? You did invest a lot of money, then you can’t charge your earbuds any more and they will become normal earbuds with awkward battery compartment. Most likely you will buy the new one. Every ANC earbuds need the battery pack to power the ANC circuitry, how do you hang them. Background noise caused by ANC circuitry: Check out my post Noise-Cancelling vs. Noise-Isolating earbuds for more details. Noise-canceling earbuds produce the wide range of frequencies, from the source, more or less you will notice a white noise, The best NC earbuds will down the hiss to the lowest level. So it’s rule of thumb that NC earbuds don’t sound as clean as noise-isolating earbuds which you rarely obtain a faint hiss. If you work in noisy-environment such in the lab with instruments gas compressors, analytical GC/MS, ICP/MS and more, engines, construction sites,…and don’t want to wear earmuffs, the active noise-cancelling earbuds will be the best choice. Some customers expects the perfect job that NC earbuds can do until they get one. They may be disappointed because they still hear something such as voices or babies crying and snoring sound. As I said where else in thebestearbuds.com, NC earbuds can’t cancel out 100% noise, since ambient sound travel in the air with different sound waves and intensity. Before the systems were invented to cancel the noise in helicopter and airplane cockpits, the Earmuff were mostly used. Since in ear headphones was produced, the ANC was integrated in very first model of Sony earbuds. Which brands own the best NC tech? Why you should not buy the noise cancelling earbuds? >> One limitation of ANC earbuds is that the weighty battery pack will make you feel not convenient, since they may drag the earbuds falling, as a result the more chance they will drop out while you play action sports. Unlike the regular earphones, I say, noise-isolating earbuds, ANC has to be charged frequently. >> One interesting fact that some function will not work when you switch from one device to another, for example from iOS to Android. However the sound in the most case remains the same. >> Considering ony sound quality, investing on the ANC earbuds is expensive because you can get plenty of cheaper earbuds with better sound. If you’ve searched for active noise cancelling earbuds, probably you deciced what your earbuds is for–flights, metro train, working in noisy invironment or jobs that require some pure music to boost the creativity, eleminating the wind blowing on the cycle pathways, the noise in subway or street, sidewalk, jet engine noise on flight, from home tools such as electric chainsaw,..For those who have experienced the ANC, especially in the noisy environments, can’t imagine how their life could be without wearing this little high tech accessory. We all know the the advantage of earbuds due to their light weight, compact size and super portability, it’s great if earbuds has the additional feature: Active Noise Cancelling (ANC). The best noise cancelling earbuds usually come with 3 fundamental factors: ergonomicall designed, better ANC and substance sounds, and some other features have been discussed this post. They only show their value where they are supposed to be, I mean, when you need them, it’s useless when you are seating on sofa in a quiet room and turning on ANC function on. Testing environments: even they test the possibility you can sleep while wearing these earbuds, while on bed, hearing the snoring sound is very annoying if you don’t like earplugs wearing ANC with a little music also make you feel sleepy more easily. What do you think is the best noise cancelling earbuds please comment blow! IFA 2015-Sony announced new earbuds companion of their latest Walkman with noise cancelling feature, it was named h.ear in and they come with a wide array of colors. These earbuds are expected to do a great job of sorting out the airplane noise. At CES21015, a Bluetooth headphone called FreeWavz was announced. It comes with ANC feature. Let’see how it will hit the ANC earbud market. Another set, the JBL Reflect Aware Earbuds for sports, has been introduced. Along with ANC feature, the ambient Aware feature will let you control how much noise you want to cancel out via free companion app (only for iPhones). Unlike other ANC earbud that required battery box to run the function, the JBL offer free-battery and will eat the power from the devices it plugs in. Sony recently launched the H.ear In headphones go in your ears, which is compatible with new Walkman. 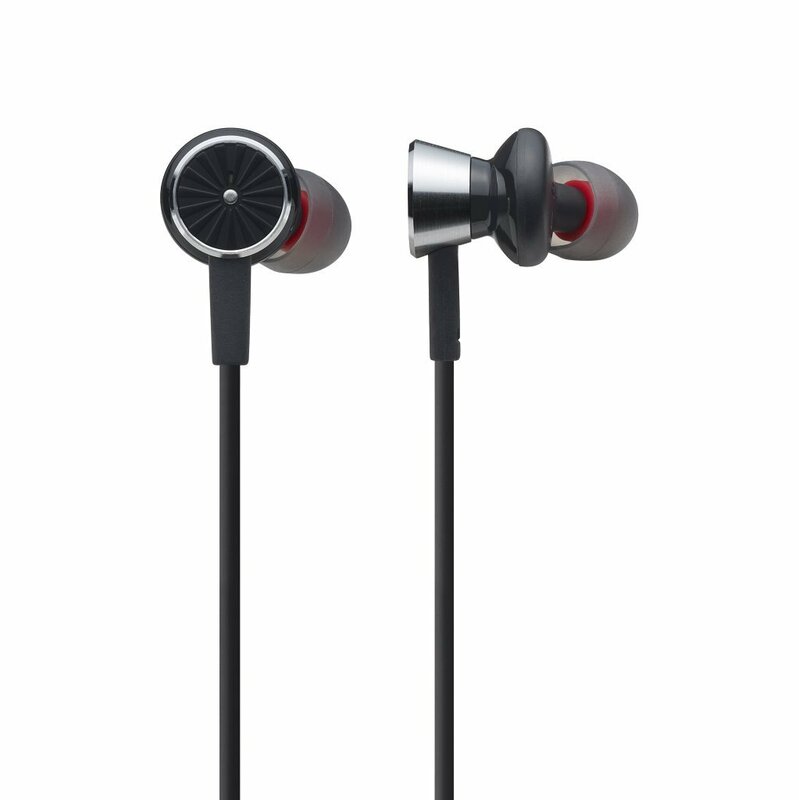 The HBS-800 Earbuds’ unique design with neckband works any where from the gym to on flight, its sound quality is slightly better than Sony and Techica models. These earbuds are kept in place when not in use by the magnets placed on the headband. The ANC feature of microphone is effectively functional, and wireless connection is available. One of great things is that the battery of HBS can last for up to 15 hours. Note that this type of headset doesn’t feature ANC. Some users misunderstand this headset for its NC function from the mic. A LOT OF heplful info about ANC earbuds thank, Bose is expensive. I will buy one of these for my flights. Inline battery box is heavy. I don’t like it. is there any brand that they have ANC earbuds without this box. BOSE QC20 is too much to invest, any recommendation for good ANC earbuds around $150,,,Thank. AKG K391 NC costs around $200. Mark. I like its sound but the ACN function is not performed very well. The great thing about AKG is 40 hours battery life, and you know Bose is just 16 hours. Do they work effectively with dog barking, snoring or wind blowing? I never felt noise canceling earbuds live up to their hype. I mean sure, they do cancel “some” sounds out but not as much as they claim to. Also, I feel the best noise canceling ones have the best quality ear plugs. You want a great noise canceling earbud? Go to the source and get the ones that are designed to cancel out sounds in the work place. I can’t recall the name but they are actual ear plugs. When turn off the NC function the sound will be little drop down in every level,you will not love to listen all music with system off.The other warning for BOSE NC is donot use the NC function in the car during you close the door,the air pressure bump during the door closing will made like bome sound to yours ears. Does this mean there is a new version coming soon? If so, do you have any idea when that will be? I’ve heard a lot about noise-canceling earphones and ear protection, but I didn’t really know how it worked. That’s actually a really amazing technology that has so many applications. Of course, the obvious application is consumer electronics, but I also think it would be great for the workplace. That way, you could protect your employees’ hearing and possibly lower insurance and workers comp costs. I’m a massive fan of my Bose QC3 headphones, which have served me for over 10 years. They work particularly well for flights or train journeys. I am looking for earphones that best cancel higher frequency noises, specifically in the range of 100 to 1200hz. Do you have any data or recommendations for such earphones, if any? I understand they work best with canceling lower frequency noises. Noise cancellation is pretty darn important as it should allow me to hear the full range of the music. However, if I don’t the full range of music playing and the people I’m talking to when I get a phone call have problems hearing me, the head set has no value to me. I have felt the Apple ear buds that have really good sound but they do not sit well in my ear. I just bought (2 days ago) the wireless Power Beats2. The sound is not as good as the Apple earbuds and people complained when I was on the phone speaking so I had to remove them from the wifi and go to speaker. Useless. The Beats are being returned. From what I’m reading you sacrifice sound quality when going wireless. You being the expert can tell me if that is true or false. What I need is a wireless, comfortable, full range quality 10 in sound and something that people on the other end of the phone line can hear me. Noise canceling is icing on the cake. If I can’t get this from a wireless set of ear buds I’ll take wired. If only Apple took their buds to the next level of comfort and fit. I’m asking for your suggestion for what I’m asking for. Yes I did read your whole article but I’m left with the feeling of what I want is not out there. Also the article was geared more toward noise cancellation which is great but the products don’t seem to be that good across the board. I never experienced noise eliminating earbuds meet their buzz. I mean certain, they do terminate “some” noises out however, not as much as these people claim in order to. Also, Personally I think the best noises canceling types have the highest quality ear connects. I love my Bose QC20 headphones! If you have the budget theres nothing better on the market right now.